SNAFU! : Omani military launched the Turkish "Pars x8 vehicle"
Omani military launched the Turkish "Pars x8 vehicle"
The Omani military launched the Turkish "Pars x8 vehicle" during an event on Tuesday at the Safrat Al Dooh' field, according to the Times of Oman. Omani Army Commander Maj. Gen. Mattar bin Salim Al Balushi had launched the event that included an overview of the armored personnel carrier and a field demonstration of the vehicle's capabilities. A Turkish defense company delivered the vehicles to the Omani military as part of an agreement signed in 2015, according to the report. 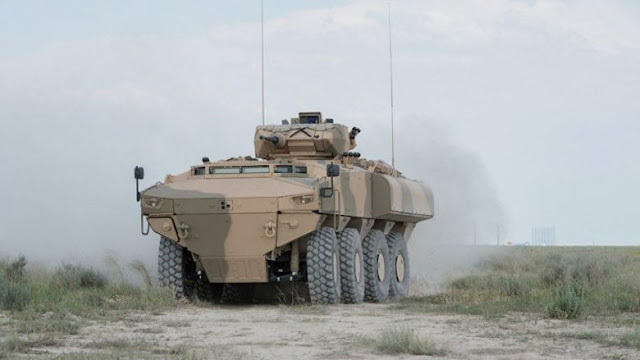 The selection of the Turkish-made military vehicle followed successful tests, including field tests during different weather conditions in Oman, it added. Have any of these vehicles seen combat? I can't think of a time I've ever seen them used operationally. They aren't in Yemen are they?